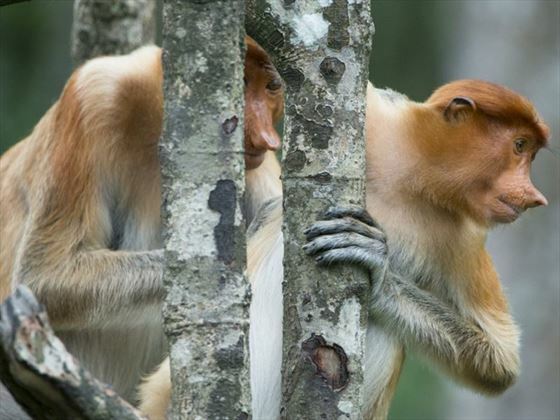 Borneo is blessed with abundant natural attractions and this is a wonderful way to experience the beauty of the rainforest and the spectacle of a paradise island teeming with marine life. 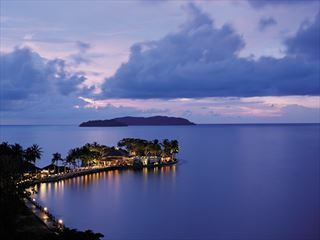 Start the journey at Kota Kinabalu with its own charms and a stunning coastal location, stay at the Shangri-La resort for your first few nights and once you have acclimatised and relaxed into tropical life, head up to the North of Sabah for a chance to view Orangutans in their natural habitat and enjoy a leisurely stay on the Kinabatangan River with boat safaris at sunrise and sunset offering maximum wildlife viewing. 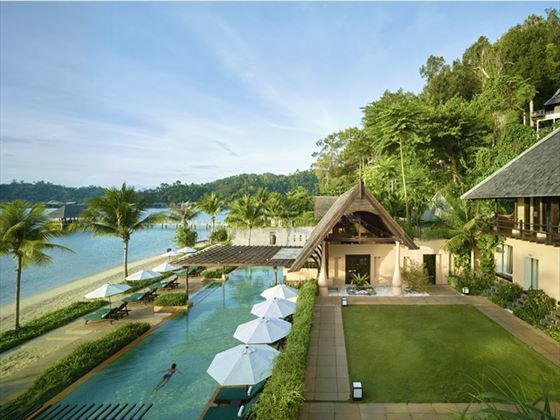 Your adventure continues with 5 nights on a tropical island paradise; Gaya Island Resort offers you true eco-luxury, with a private villa nestled into mangrove forests, fine dining, stunning beaches, a marine conservation centre accessible only by boat, snorkelling explorations and a Spa Village. This suggested itinerary is ideal for any special occasion where once-in-lifetime memories are guaranteed (TM - DTM). 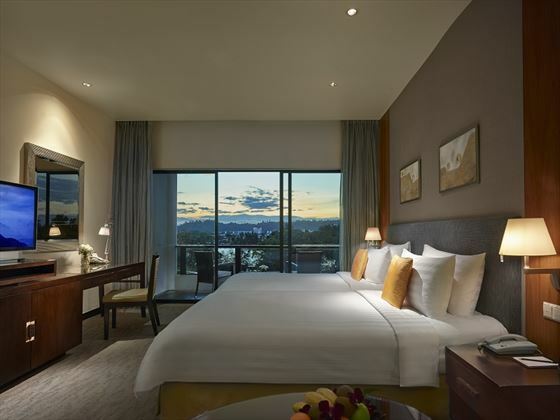 Arrive into Kota Kinabalu airport in Borneo after an overnight flight, where a private driver will be waiting for the short transfer (15 minutes approximately) to the wonderful Shangri-La’s Tanjung Aru Resort & Spa. 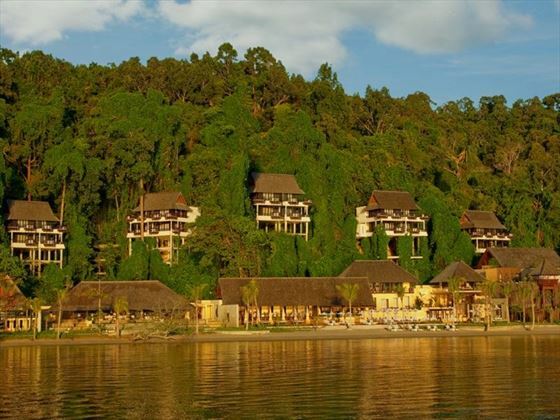 Enjoy the vast range of facilities at this tranquil resort, choosing to be as active or restful as you like, with plenty of water-sports and land activities on offer as well as an expansive spa. 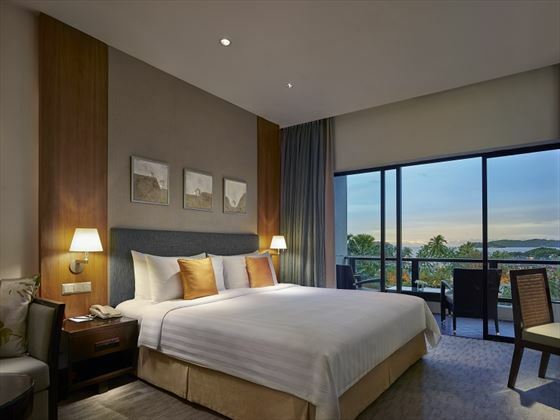 The resort sits alongside an inviting stretch of sparkling South China Sea beaches, including Tanjung Aru Beach and Sunset Beach. You will be collected by private driver today for a short transfer back to Kota Kinabalu airport for an early morning flight up to Sandakan. You will be met at Sandakan airport at around 8 am and taken to the world renowned Orangutan rehabilitation centre at Sepilok. Proceed through the jungle on the boardwalks to the free roaming area and the feeding platform. 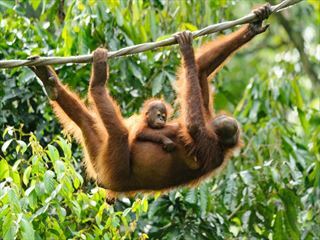 At around 10.00am it is feeding time and the Orangutans generally visit to interact and enjoy their treats. Visit the adjacent Bornean Sun Bear Conservation Centre, where rescued sun bears live in a 3 hectare forest sanctuary, the perfect place to see these unique Asian bears, observe their natural behaviours including searching for honey. 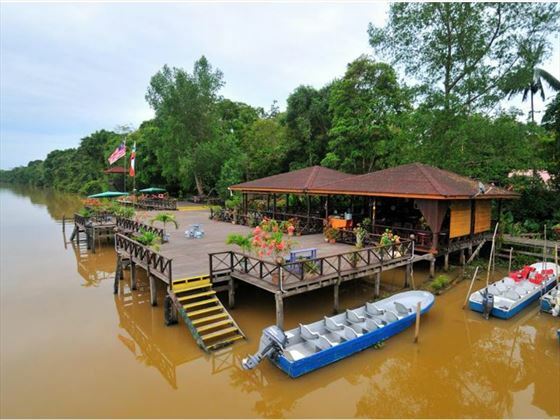 On leaving the Sepilok Centre you will transfer to the jetty in Sandakan and at noon join an hour long boat cruise up to the Lower Kinabatangan River Sanctuary, where you will alight for lunch at Abai Jungle Restaurant. 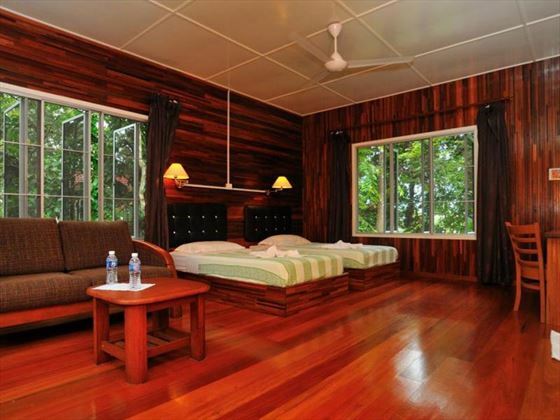 After lunch check in to Abai Jungle Lodge for your 2 night stay (sharing a standard room with twin beds). Before dinner take a river cruise to search for wildlife until the sunsets while enjoying a cup of coffee and as night falls and you cruise back to the lodge for dinner, watch as the fire flies light up the trees. After dinner, again experience the sights and sounds of the “Jungle at night” on the lodge’s nature boardwalk to search for birds, snakes, insects and other wildlife with a resident nature guide. 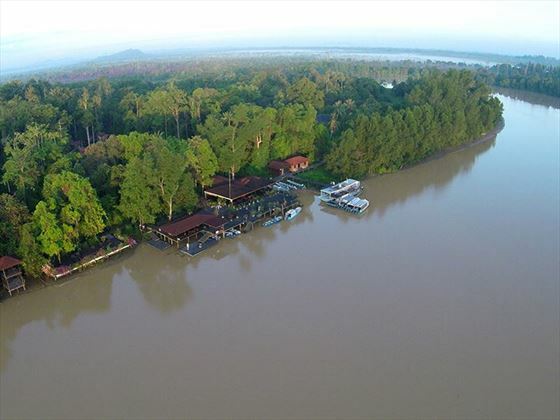 Wake up to the early morning calls of the jungle and enjoy the fresh morning air with a river trip to the unique Pitas Oxbow Lake to observe wildlife. After breakfast, you are invited to join the tree planting project with the local villagers which includes a simple lunch arranged by the villagers at Abai village. After lunch, you are free to explore the nature board walk behind the lodge or just relax in your unique surroundings; late afternoon, join another river cruise safari to search for wildlife. In the morning, enjoy some time at leisure or relax with a cup of coffee at the nature board walk. 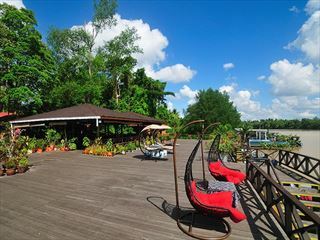 After breakfast, check out of the lodge and you will be transferred back along the scenic river (approximately one hour) back to Sandakan. Upon arrival at the jetty, proceed to the airport for your flight back to Kota Kinabalu. 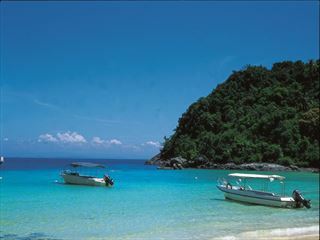 A driver will meet you at the airport for a short transfer to the jetty at Jessleton Point and the dedicated Gaya Lounge; here you can check -in to the resort and enjoy refreshments and then take the resort's speedboat across the protected bay for around 15 minutes to reach the stunning island of Gaya and your home for 5 nights. 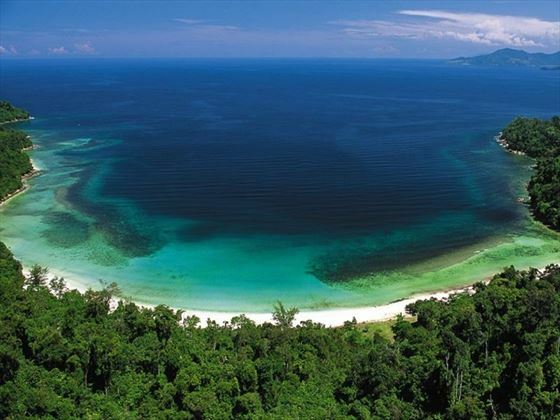 Enjoy your stay on this luscious island set within the beautiful Tunku Abdul Rahman Marine Park, with gorgeous villas tucked away in the hillside, a Spa Village and plenty of snorkelling and marine viewing opportunities - this idyllic resort will certainly take your breath away. 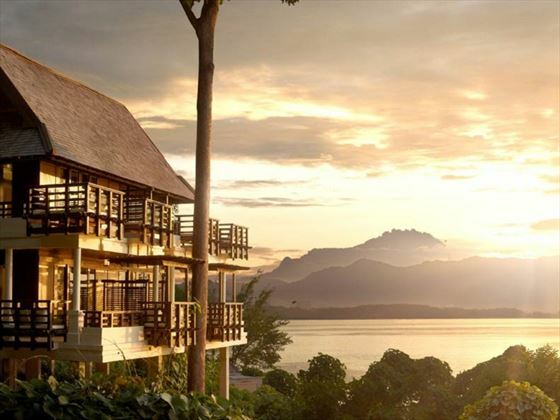 Your stilted Villa overlooks the mangrove forests and thick canopies or the South China Sea with the stunning Mount Kinabalu in the distance, and the restaurants here won't disappoint with only the freshest cuisine available caught locally at Fisherman's Cove or try the Omakese restaurant with Japanese delicacies. The Spa Village is also not to be missed - Rice scrubs and Balinese massages will leave you feeling completely refreshed after spending the day exploring the Marine Centre and learning about the islands conservation programmes, perhaps even take a guided tour of the jungle in search of of proboscis monkeys and giant flying red squirrels. End the day with a Singgah Singgarung Night, where you’ll be given an insight into Borneo’s native arts and activities, alongside tucking into a tribal-style beach BBQ. 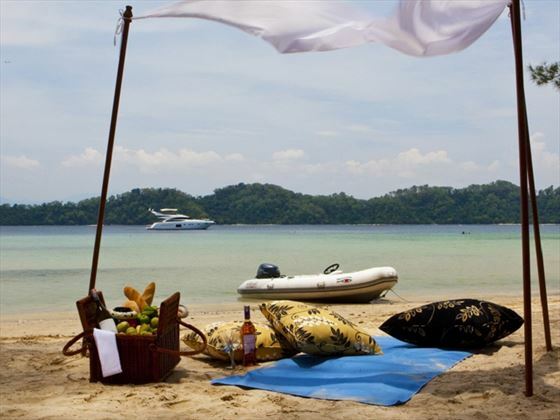 Depart Gaya Island by boat and return to Kota Kinabalu airport for your flight home.